Claman on Call: FBN’s Liz Claman with an after-hours web exclusive on the markets, oil prices, Yum Brands and GoPro stock. The Dow posted its best win streak since July, ending the session Wednesday up 122 points. All three major averages closed in the green. 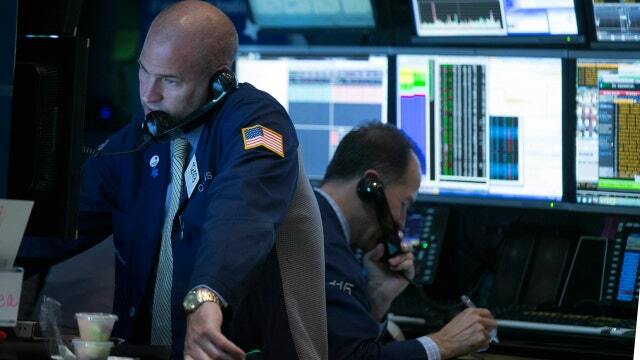 The S&P was up 15 points and the Nasdaq rose 42 points. Some context for you -- it was the 35th day in a row of triple-digit swings. We haven&apos;t seen that many consecutive days of that kind of jump in four years. Oil fell for the first time in four sessions, closing down after inventory reports showed a bigger-than-expected increase of 3 million barrels of crude. Final price? Down 1% at $48.71 a barrel. GoPro (NASDAQ:GPRO) fell to an all-time low, tumbling more than 7%. Wednesday&apos;s decline comes after Morgan Stanley (NYSE:MS) slashed its price target for the wearable camera maker from $62 a share to $35. Yum Brands (NYSE:YUM) endured its worst hit in 13 years, diving 18% after the company missed estimates on its after-the-bell earnings Tuesday. It also lowered its full-year guidance. The owner of KFC, Pizza Hut and Taco Bell blamed weak sales in China and a stronger dollar. Yum&apos;s bad news hit other restaurant stocks as well: Dunkin&apos; Donuts (NASDAQ:DNKN), McDonald&apos;s (NYSE:MCD), Darden Restaurants (NYSE:DRI), Jack in the Box (NASDAQ:JACK), and Buffalo Wild Wings (NASDAQ:BWLD) all saw red.